Why should we, in this time and in this place, buy locally? It’s simple. Locally grown food tastes better and is better for you because it has probably been harvested within days — if not hours — of reaching your table. As the length of time from farm to fork increases, sugars turn to starches, plant cells shrink and break down and produce loses its nutrients. So the only way to truly embrace the localvore concept is to adopt the Japanese philosophy of “teikei”. A phrase loosely translated as“putting the farmer’s faces on food”. It is a system of community supported agriculture (CSA), where consumers purchase food directly from local farmers. Local produce is grown for flavor, color and an ability to provide a long season of harvest while preserving genetic diversity. In contrast, the modern industrial agriculture system with its factory-style farms cultivates produce with tough skins in order to survive packing and handling along the way to the grocery store. These products are typically picked under ripe resulting in a long shelf life but extreme lack of flavor. Most local farmers and small ranchers do not have access to, or refuse to use, genetically modified seed and grain, growth hormones and antibiotics. Believing that they can raise better quality products without them. It’s better for the farm, better for the animal and better for the consumer. From a distance it seems that everyone is jumping on the sustainable bandwagon. Is that a problem? It is a problem. The term “sustainability” is fraught with confusion and contradiction; products, techniques or processes that are labeled “natural”, “free-ranged”, “humanely raised” or “farm fresh” have no national, legal or governmental definition. And more importantly, there is no national standard for what constitutes “sustainable cuisine”. Yes, the industrial agriculture system and the corporate confined animal feeding operations (CAFO) are BAD. These organizations have everything going wrong for them including huge carbon footprints that lead to global warming, national security concerns and socially irresponsible corporate ownership. Do we bow our heads and give up? Or, do we stand up and say enough is enough. It starts with YOU taking personal responsibility. YOU must also be skeptical and be wary. YOU must do the research, ask the questions and use the intelligence that universe has bestowed to distinguish the truth from the matrix. 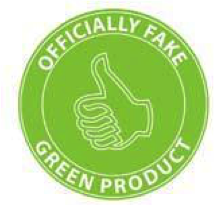 (1) "About Greenwashing | Greenwashing Index." EnviroMedia Social Marketing & the University of Oregon, n.d. Web. (2) Pollan, Michael. The Omnivore’s Dilemma 10th Anniversary Edition. N.p. : Penguin, 2016. N. pag. Print.